When you want to create an architectural masterpiece for your next roofing or cladding project, new, doesn’t always mean better. But when you can combine the best of the old with modern innovation you can create something truly special. And now, Cor-Ten A weather resistant steel opens up a vision of the future with a backwards glance at the time-tested strength of the past. Cor-ten A weather resistant steel offers an age-old rustic look that provides a stunning contrast to modern design elements yet without sacrificing longevity or structural strength. Cor-ten has been around for a long time and proven its worth. 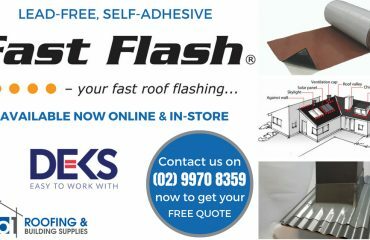 Read on and find out what makes it so special and so perfect for your next building project. 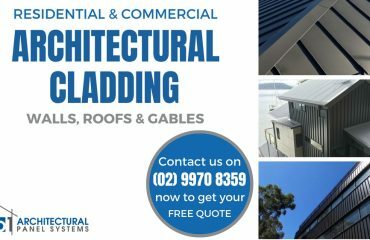 Cladding, Roofing and Panels, Where Can I Use It? 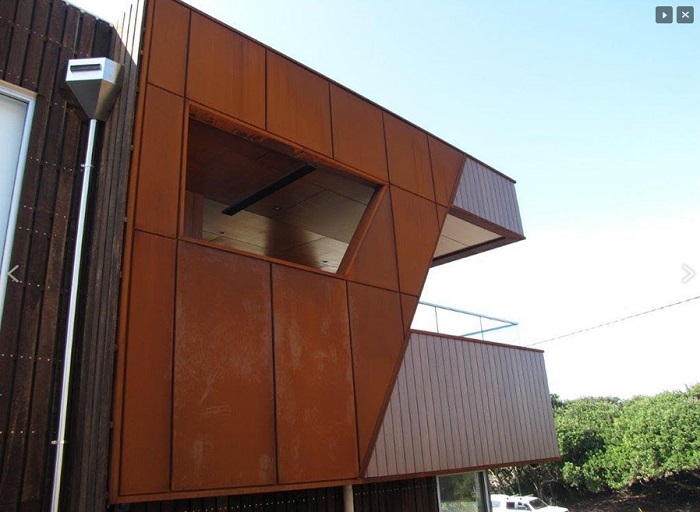 From vineyards to office buildings, and sheds to mansions or holiday homes Corten steel panels delivers image and function in one amazing package. 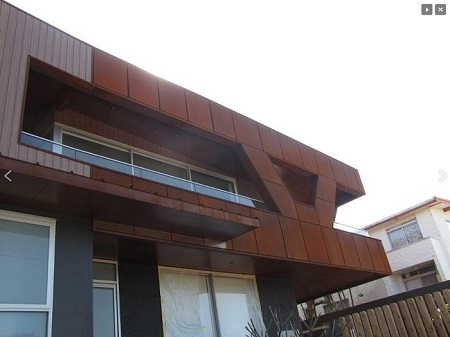 What Corten Steel Cladding Profiles are Available? ​Interlocking Panel by No.1 Roofing - strong architectural lines, outstanding weathertight design for buildings that deserve to be noticed. Standing seam by No.1 Roofing —eye-catching profile, advanced seam sealing design, and wide span coverage makes standing seam one of the most popular profiles around. Traditional Corrugated—the rich earth coloured patina adds a depth of charm to a true classic. The rich earth colours are the foundation and promise of an unforgettable building no matter which profile you choose. 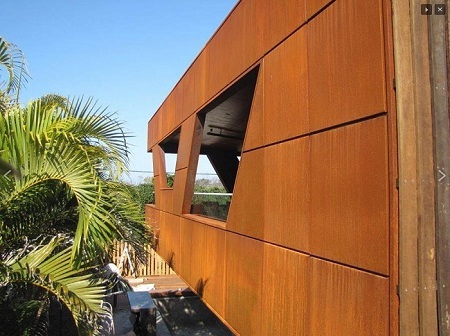 What is Cor-ten A Weather Resistant Steel? Weather resistant steel (or weathering steel) is a cold-rolled steel alloy that forms its own protective layer. 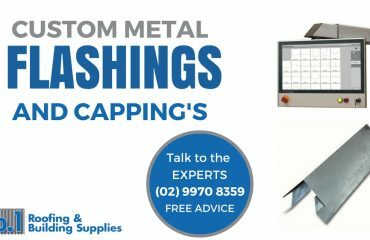 Whereas the galvanizing process adds a zinc anode to steel during production Cor-ten A steel builds up a protective anti corrosion patina over time and under the influence of the weather. This protective patina takes on a rich reddish-brown rusted weathered look that will provide a real point of difference and transform your building project into a deeply satisfying iconic masterpiece. The colourful protective layer forms as a result of various alloys in the steel reacting with the cyclic wet/dry action of the weather and the resulting corrosion products protect the steel from further corrosion for many years. These anti-corrosion properties are even superior to those of ordinary steel in many applications including industrial settings exposed to exhaust fumes from sulphur content fuels or scaling at high temperatures. Originally developed by the United States Steel Corporation, the Cor-ten A is made under licence by Ruukki, a Finnish company committed to the care and protection of the environment. What are its Special Qualities? Cor-ten A weather resistant steel retains a special ability to change with time. Within 18-36 months the steel will take on its distinctive rustic appearance. Although its structural integrity remains intact the patina colour will darken as time goes on. Some variation in colour can be expected but this adds to its eye-catching appeal. Image is so important these days and whether you want your project to blend in with the environment such as a new house design for an environmentally sensitive site or to stand out from the crowd with an iconoclastic juxtaposition of rustic steel and glass or timber Cor-ten A promises to deliver a visual feast of colour. Cor-ten is a natural work of art with its deep red, brown, and orange colouring and patterns in constant transformation as the light changes throughout the day. And when night falls, Cor-ten remains alive as the perfect backdrop for artificial lighting effects.Whatever the weather and time of day Cor-ten A will continue to attract attention and impress. A clever combination of old rustic appearance, stunning natural colourings, superb strength to weight properties, and corrosion resistance will ensure people talk about your building for many years to come. Cor-ten A weather resistant steel offers those traditional values of hard wearing rugged endurance and old world visual appeal alloyed with an extraordinary vision of modernity and an environmentally friendly future.